If you poke around, you’ll see (as I have) that many people write about burns. 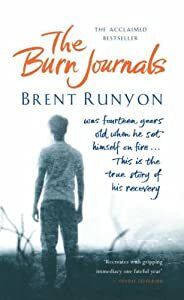 Recently I finished Burned: A Memoir (www.louisenayer.com), and was fascinated by this book because it describes the effect of a mother’s burn on her daughter. I contacted Louise to ask her some questions about why she wrote the book and we’ve developed a communication of sorts. Other books I need to explore include Burned But Not Broken (www.michaeljnolte.com), Nothing Left to Burn (www.jayvarner.com) and The Burn Journals (www.burnjournals.com). I’m not sure if the world needs another burn memoir but I still want to publish mine and I realize even from this handful of books that my story is completely different than these. Every burn it seems is unique.